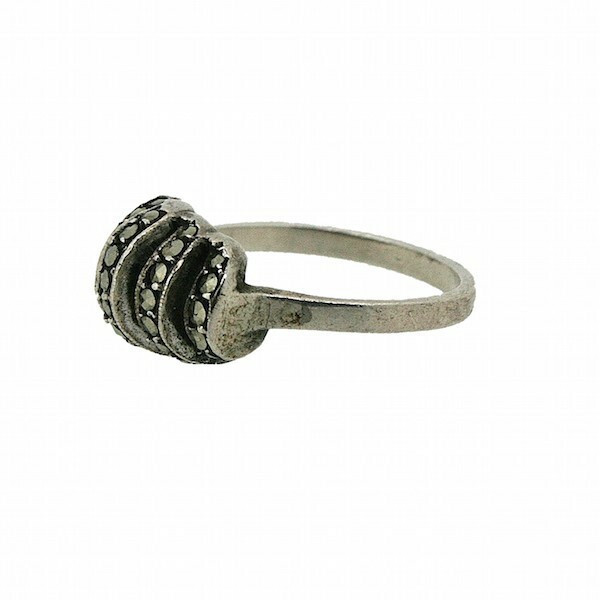 Oh so stylish, this beautiful ring was created in the 1940s and is stamped sterling silver. Very Good - A little rubbing to the outer edges of the shank consistent with age and use. However, this does not detract from the overall appeal of the piece and is not visible when worn. 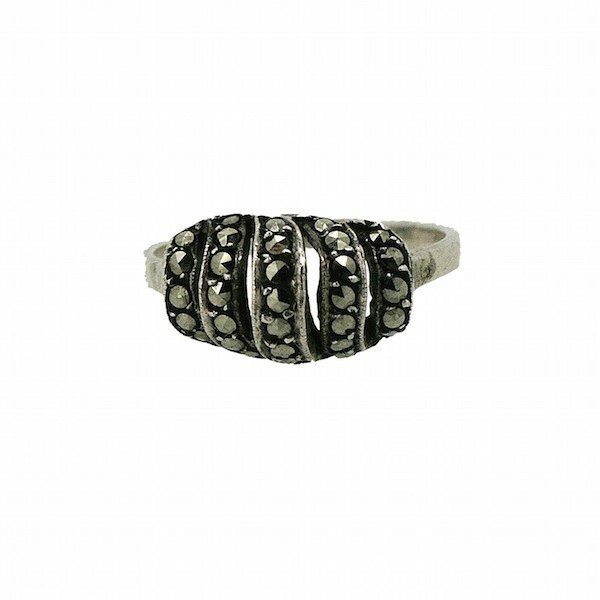 This silver ring features a central twist design detailed with round marcasite stones. 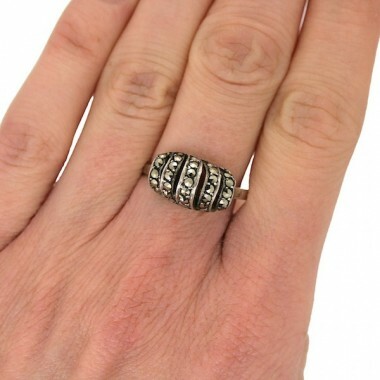 The inside of the ring's shank is stamped 'STERLING'. The ring is a UK size 'P'. 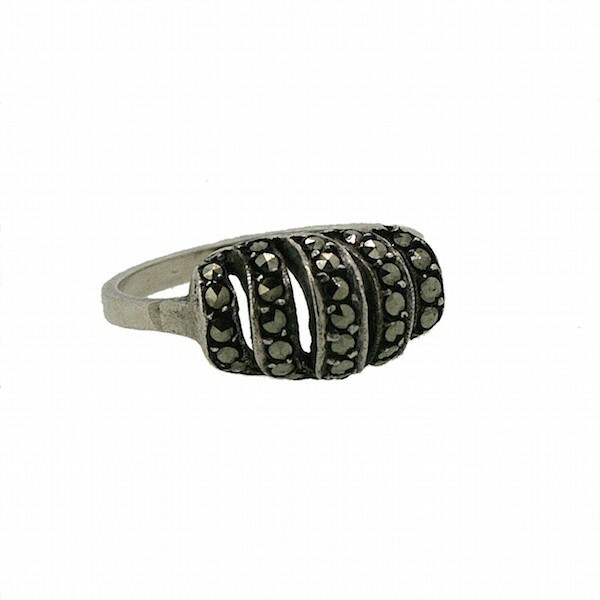 This silver ring is perfect for stacking with others.